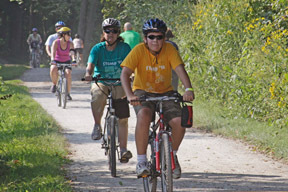 The National Park Service announces the closure of Ira Trailhead parking lot in Cuyahoga Valley National Park (CVNP), from Friday, August 31, at 8:00pm, until Saturday, September 1, at 1:00pm, for the STOMP Bike Ride. Ira Trailhead parking lot is located at 3801 Riverview Road, north of Ira Road, Peninsula 44264. The Ohio & Erie Canal Towpath Trail will remain open to all visitors.